The data screen allows you to edit the data stored in each class. The table contains all attributes (including inherited ones) and their values. You can add more data using the orange plus button or query data by filling out the query field using our query language. 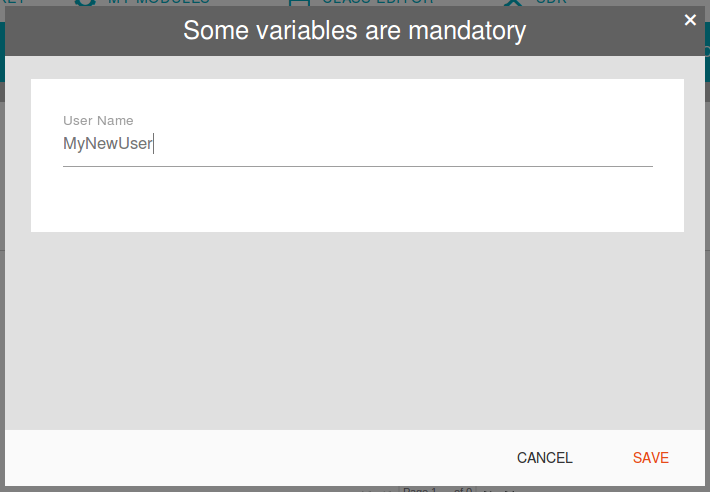 To fill out or change a field, simply select it and an editor, depending on the fields type, will open. You can switch classes and systems on the left menu. Using the ribbons in the main menu, you can copy data from other systems or drop data. Copy data from … – copies all data from an other system to the selected one (only data, not the classes or selected modules).